Are you looking for the best selenium for horses? There are tons of selenium and vitamin E supplements on the market and it can feel overwhelming sifting through the options. We have reviewed a dozen horse selenium powders, pellets, and crumbles and we have chosen the best of the best based on quality ingredients, nutritional content, and taste. Check out our quick review list for our picks or read on for our full reviews. Any of our three picks will be an excellent choice for you and your horse and they range in price to fit any budget. Selenium is a trace mineral that is found not only in the soil, but also in some foods and in water. This vital mineral helps to improve equine immunity and ensure that your horse has a healthy metabolism. All horses need to have selenium in their diet, but since it is a micro mineral it is often difficult to ensure that they have enough selenium in the foods they eat. When your horse does not have enough selenium in their diet, it can negatively affect their growth and even cause additional health problems. It’s important to be aware of the signs and symptoms that your horse may have a selenium deficiency. This will allow you to address the issue right away and minimize any negative consequences. Some of the most common signs that your horse is deficient and in need of selenium supplementation include muscle weakness, diarrhea, anorexia, and retained placenta. Even if your horse isn’t showing physical problems, it doesn’t mean that they are not suffering from a selenium deficiency. A lack of selenium can also express itself as an inability to resist and fight off disease, increased time for muscle recovery, and even poor fertility. This means that you need to be aware of the health of your horse and be willing to act quickly if you suspect a selenium deficiency. How Does Selenium Help to Keep Your Horse Healthy? Selenium helps to improve the health of your horse in a number of ways. Not only does it boost your horse's ability to produce antibodies, which will increase their immune system, but it also helps your horse’s reproduction and growth. Boosts in growth and reproduction will manifest themselves as improved overall daily health and better and healthier pregnancies. When your horse has enough selenium in their diet, they will be able to help prevent damage to the membranes of their cells, as well as improved vitamin E retention in their bodies. Together, vitamin E and selenium work to reduce the risk of your horse suffering from muscle problems, such as exertional rhabdomyolysis syndrome and white muscle disease. With this in mind, supplementing selenium and vitamin E can have a tremendous positive impact on your horses overall health and performance. Which ensures that your horse has the right amount of both essential nutrients to perform at optimum levels. When combined like in Horse Guard, these two nutrients work together to improve stress recovery and ensure that your horse’s immune system is working the best that it can. 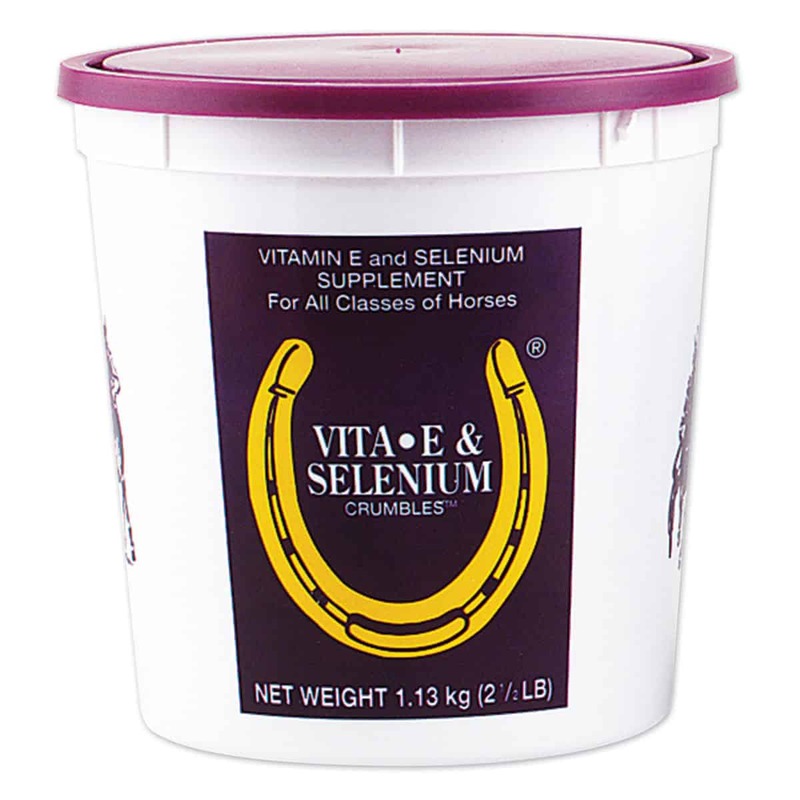 With Horse Guard Selenium you won’t have to worry about whether or not you need to add vitamin E to your horse’s diet as well. Vitamin E is included in the correct amount. This makes providing your horse with the supplements that they need fast and easy. Additionally, with this organic selenium, there isn’t any concern over whether or not there will be any harmful chemicals or fillers added to the supplement that can actually harm your hose. Specially formulated to include not only selenium, but also vitamin E for the best possible health boost, Kentucky Performance has been designed to stop any damaging oxidation in your horse’s body that may be caused by free radicals. When you provide Elevate Se to your horse's diet you are able to ensure that their immune system, reproductive system, and muscles are all working at their highest level. This selenium supplement ensures that your horse has a safe and natural source of selenium and vitamin E. And to provide the antioxidant support that your horse needs. Because this product uses an organic selenium yeast that is very similar to what they would encounter when grazing, your horse will better be able to utilize the selenium. Packed with vitamin E, selenium, calcium, fat, protein, and fiber, this supplement will cover all symptoms due to a selenium deficiency. Vita E boasts a great taste so that you don’t have to worry about whether or not your horse will be willing to eat it with feed. Thanks to the included measuring scoop, it is easy to put the right amount of selenium in your horse’s food each day. This is the best value for the price on the horse selenium supplement market, which is great if you have multiple horses in need of supplementation. Whether you are looking for the best of the best or the best value selenium for horses, any of our three choices will fit your supplement needs. Let us know what you choose and how your selenium supplement is working for you and your horse.